Most commentators attribute the rise in SMSFs to the desire by baby boomers (those born 1946-64) to take control over their retirement assets, rather than leave it to platforms or fund managers they struggle to understand. It’s often not that they believe they can seriously do better themselves but more the fact that they would prefer to have the ultimate control and know that if funds are earning or not earning and that they can clearly see why and adapt if needed. Also a clear trend in the last 5 years has been the rise in Gen X (born 1965 to 1980) starting SMSFs as they have had superannuation for most of their working lives and are now meeting the “rough guideline” of $200K to open a Self-Managed Super Fund. However, there are other key benefits that along with this control over investment choice, that make Self Managed Superannuation such an attractive retirement funding vehicle (I say vehicle as it is only an entity and it is the investments chosen and the strategies employed that lead to the ultimate success or failure of a fund). The key attribute of SMSFs has always been investment control, and the wider investment choice (such as direct shares, residential and commercial property, collectibles, art work etc) that trustees have compared to retail and industry super funds. You also have access to using derivatives and other more complex strategies to implement some downside protection or hedging of portfolio risk. One of the main reasons I recommend SMSFs is for small business owners to have business real property ( ie. that is used by their business) owned their SMSF and leased back to the business. This provides a steady income for the SMSF and frees up capital to grow your business as well as provide a secure tenancy. With the rules now allowing SMSFs to borrow we can aim for larger properties or to implement the strategy earlier in the lives of the members. This ties in with the flexibility of SMSFs and added benefits over and above a retail or industry super fund mentioned earlier. All Superannuation funds (let’s ignore Defined Benefit Schemes for now), offer the ability to take tax-free pension income streams in retirement which is a big incentive to keep your funds within the superannuation environment. You don’t need to have all your assets in superannuation, especially with the increase in the tax-free thresholds; however, by cleverly balancing the amount inside and outside of super you can minimise your tax on a relatively large income and possibly access benefits you thought beyond reach such as the Commonwealth Seniors Healthcare Card or even some Aged Pension. A further benefit of SMSFs is the control and flexibility that trustees can exert over the tax position of the fund. Through structuring and timing pensions (in some cases multiple pensions) and tilting investment strategies to use the concessional tax treatment of the funds (such as targeting franking credits) tax can be significantly reduced and in for many retirement phase clients refunds can be claimed from the ATO for excess credits!. There is also added flexibility in terms of dealing with the tax liabilities of the fund, as the fund only does one tax return even though there can be up to 4 different members in the fund and each could have an accumulation and numerous pension accounts. Using strategies such as Future Service Benefit Deductions your family members can benefit from large tax benfits on the death of a member. When it comes time to enter the pension phase through a Transition to Retirement while still working or a full Account Based Pension on retiring, an SMSF structure allows an almost seamless transition from accumulation into pension or draw-down mode. You do not have to sell down your assets incurring various fees or taxes in the process as you simply minute the move to pension phase via a Pension Kit and retain your investments as is, no need to change. . There are many useful estate planning benefits built into the superannuation system and even more so via SMSFs. First, you need to be clear that your Will does not control your superannuation benefits unless you specifically nominate this option. Keeping your superannuation assets outside of your will may be a smart move especially in these days of blended families and “No Win-No Fee” lawyers willing to challenge any and all estates. Within a SMSF you can design a strategy to accomplish exactly what you are after, with superior tax outcomes. This includes being able to leave “taxable” pensions to SIS Dependants who can receive them TAX FREE and tax-free or substantially tax-free lump sums to non-dependants . Likewise you can structure very tax effective income streams to dependent beneficiaries such as a disabled child or sick spouse with control around when they receive pensions and even lump sums and to effectively look after that person long after you are gone. Like the more up to date retail funds, through your SMSF you can make non-lapsing binding nominations unlike older super funds which have to be continually updated a real nightmare if you have an onset of dementia or illness preventing you renewing them). The Asset protection afforded in all superannuation vehicles is crucial in a world where litigation and bankruptcy has become commonplace. In either of these events, your benefits are protected, even if you withdraw some of this to live on. From time to time I advise those in a failing business not to try to prop up the business by accessing their super but rather leave the funds protected to give themselves some chance of getting back on their feet and taking care of their family. Are you starting to see the trend when it comes to the benefits of an SMSF? It’s all about flexibility and control of outcomes. But what about COST which is often the major initial driver of interest in an SMSF. This may be an over rated benefit as I find that once people start using the strategies and benefits mentioned above that the cost becomes a minor issue in running a fund. But for some the cost of running a SMSF can be significantly lower than the alternative platforms, especially as service providers bring technological and labour-saving ideas to bear in the administration of the funds. As a guide the average cost of the annual administration of a fund will be around about $1,200 to $5,500 pa including accounting supervisory and audit fees. Yes there are cheaper but you pay for what you get. 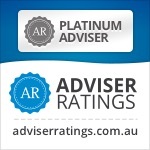 As with all vehicles you have the option to drive the strategies yourself to minimise advice costs or take on a co-driver(s) via an SMSF Specialist Advisor™, Financial Planner, Accountant or Lawyer. Look for professionals with experience in the strategies that suit your needs. The power of the SMSF solution is that you have ultimate control of what advice you seek and how you pay for that advice through negotiation with your chosen advisor and the ability to end the relationship and move on with limited hindrances. 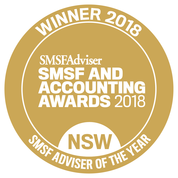 As a SMSF Specialist Advisor™ I am openly biased when I urge you to look for someone with specific accreditation in the SMSF arena as it is complex area and the strategies available to you are broader than the plain vanilla strategies offered by your typical bank planner or Industry fund planner. Look for someone who explores the strategies available to you and has a passion for the sector as this maybe your biggest asset in retirement and you don’t want a taxi driver in control of your B-double road train! In summary Self-Managed Super Funds have become popular and effective retirement vehicle through satisfied users passing their feedback on to others. However you must also be willing to take on the responsibilities that being a SMSF trustee entails but a good advisor team will guide and educate you along the way if you are prepared to learn. If you are, then the potential for what I call “The Sleep Factor” is within reach. The ability to have comfortable night’s sleep knowing you have control of your finances, understand your investments, maximised tax effectiveness and implemented effective estate planning along with some asset protection. Now pick up your last Superannuation Statement and see if that gives you the same feeling! I hope this guidance has been helpful and please take the time to comment. Feedback always appreciated. Please reblog, retweet, like on Facebook etc to make sure we get the news out there to do plenty of research first and only trust those that have earned your trust. As always please contact me if you want to look at your own options. We have offices in Castle Hill and Windsor but can meet clients anywhere in Sydney or via Skype. Click here for appointment options. Thank you for your post!This tutorial is fabulous! Lots of great info including, but as soon as you can. Ideally, you’d start saving in your 20s, when you first leave school and begin earning paychecks. Retirement Planning Advisor say that’s because the sooner you begin saving, the more time your money has to grow. Some people want the control that comes with managing their own super, but taking control means being responsible for managing your retirement funds which will involve significant time and effort. SMSFs can be suitable for people with a lot of super and extensive skills in financial and legal matters. You must understand your legal responsibilities and the investments you make because even if you employ professionals to help you, at the end of the day you are still the one responsible. Very informative article, I love it! Everything I need to know about SMSF is here and I don’t need to look for other resources as it is already explained thoroughly in this article. Awesome writing Liam! Keep it up. SMSF is an attractive funding vehicle for the investors as compared to other ones. Borrowing, Tax Minimization, Tax Control, Passing on Tax Benefits are some of the features that it provides to its clients. is lousy and I am not there for enough time to honestly care. … however, this website honestly forced me to stop in my tracks. The content is excellent, and I do mean excellent. I’m glad I found this site, it’s got some very good info. Liam is on the ball & fast on the replies as well. Knowledgable, good old fashioned Service! I find that rare – you’ll do well! Great post. Thanks for sharing this interesting information. Excellent share!! Another great post Liam. In our paraplanning business, we have seen the rise and rise of dealer groups and financial advisers giving advice around the establishment of SMSF structures & investments. From a sample of our last few hundred Statement of Advice requests, the top reasons that clients want SMSFs is the control, the additional investment options (compared to retail super) and the potential fee savings. Hi Liam, I think there is a lot of opportunity that people are not aware of with self managed retirement savings so thanks for getting this useful info out on Australian Self Managed Superannuation Funds (SMSF). Thanks for high quality information in your article The SMSF Coach! Great post Liam, very insightful. Agree with the part about control being a driving factor for setting up an SMSF. In our recent National Savings and Debt Barometer survey we found that 54% of respondents with an SMSF, started it to have hands on control. This was closely followed by gaining flexibility. Education here is key to further growth; the same survey found that less than 20% of Aussies have considered setting up an SMSF and 10% felt they had a good understanding on SMSF’s. So keep up the posts! Thank you for the positive feedback as I also think Education is the key. Good rates from providers like yourselves helps!